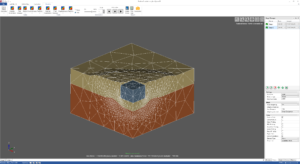 OptumG3 is the ideal solution for shallow foundation analysis and design. The unique Optum analysis type of Limit Analysis provides a means for determining bearing capacities in an efficient and convenient manner. 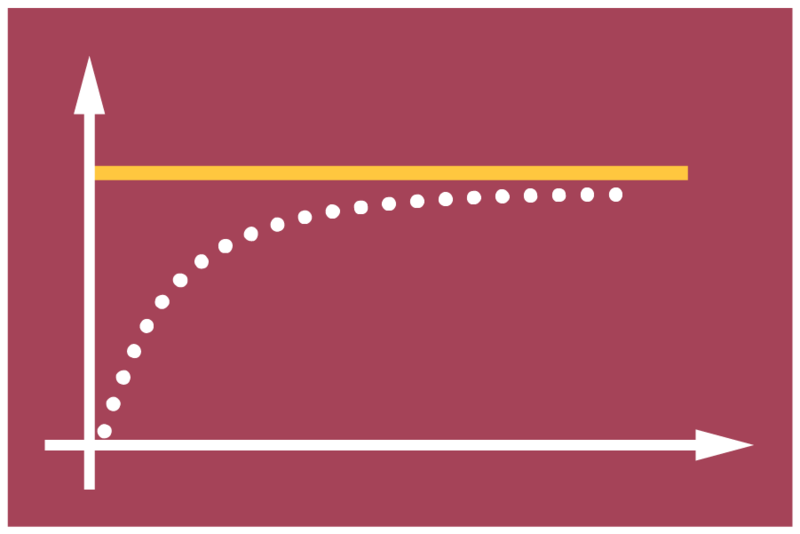 Rigorous upper and lower bounds can be computed to bracket the true solution from above and below, thus providing an in-built means of numerical verification. Elastoplastic analysis is available for determining settlements. Deep excavations are often risky undertakings that require careful planning and, as part of that, detailed and accurate analysis. The reliability and efficiency of OptumG2 makes it the ideal tool the simulation of deep excavations. Accurate soil models and a wide array of tools and options for modelling support systems, from retaining walls to anchors and soil nails, are available. When working with excavations, we recommend using our 2D software OptumG2. A monopile foundation consists of a steel pile, typically with a diameter of 3 to 5 metres driven some 10 to 20 metres into the ground depending on the conditions. OptumG3 provides all the necessary tools for detailed analysis and design of monopiles including Limit Analysis for ultimate capacity assessment and Elastoplastic analysis for determining displacements. A road, railway line or canal is normally raised onto an embankment made of compacted soil (typically clay or rock-based) to avoid a change in level required by the terrain. 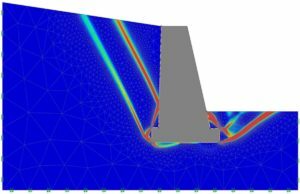 OptumG2 provides an efficient and reliable means of simulating the construction of embankments. 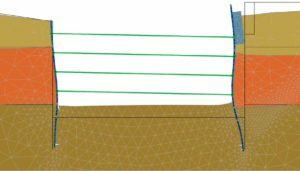 Settlements and pore pressures are calculated in a straightforward manner and the overall stability of the embankment can be gauged at any time. When working with embankments, we recommend using our 2D software OptumG2. In OptumG2, factors of safety are computed using Strength Reduction Finite Element Limit Analysis (SR-FELA).Besides short calculation times, SR-FELA also provides the possibility to calculate rigorous upper and lower bounds on the true factor of safety. In practice, this means that the true factor of safety can be determined with within a negligible tolerance in a matter of seconds. When working with slope stability, we recommend using our 2D software OptumG2. In Retaining walls come in a wide variety of types including mass gravity walls, mechanically stabilized earth walls, gabion walls and sheet pile walls. All of these can be analysed efficiently and accurately using the OptumG2. The unique ability to compute rigorous upper and lower bounds on the true factor of safety add confidence in the results. When combined with mesh adaptivity, the result is a superior tool for design of retaining walls. When working with retaining walls, we recommend using our 2D software OptumG2. When working with seepage and groundwater flow, we recommend using our 2D software OptumG2. Precise and realistic assessment of displacements is a fundamental part of many design tasks. With elasto-plastic and consolidation analysis types a wide range of problems can be effectively designed. 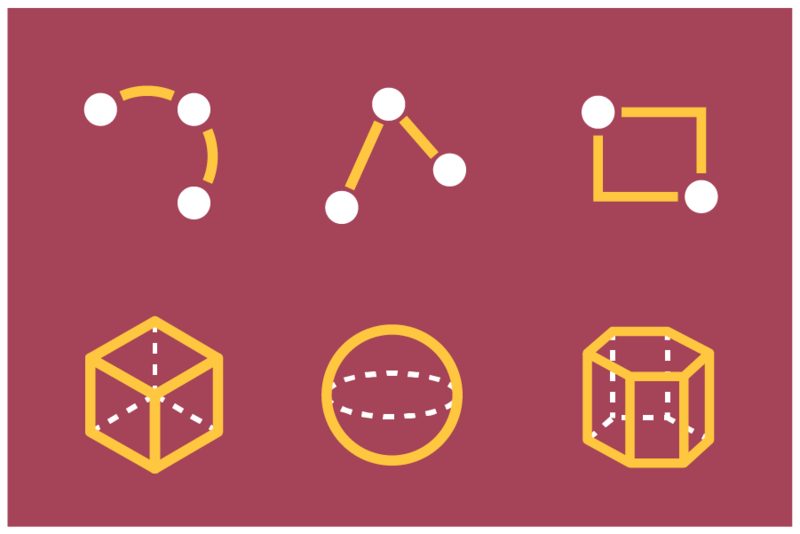 Staged analysis has never been easier with the user activating and deactivating regions in solid model – not on the meshed model. Calculate limit load – in one step! 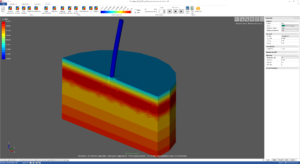 For many geotechnical practitioners 3D FE analysis is considered as the very last resort for completing a design – mainly due to complexities with setting up models combined with often very long CPU times. With OptumG3 begins a new chapter. With the unique MIXED element users can within seconds compute bearing capacities with unseen precision. 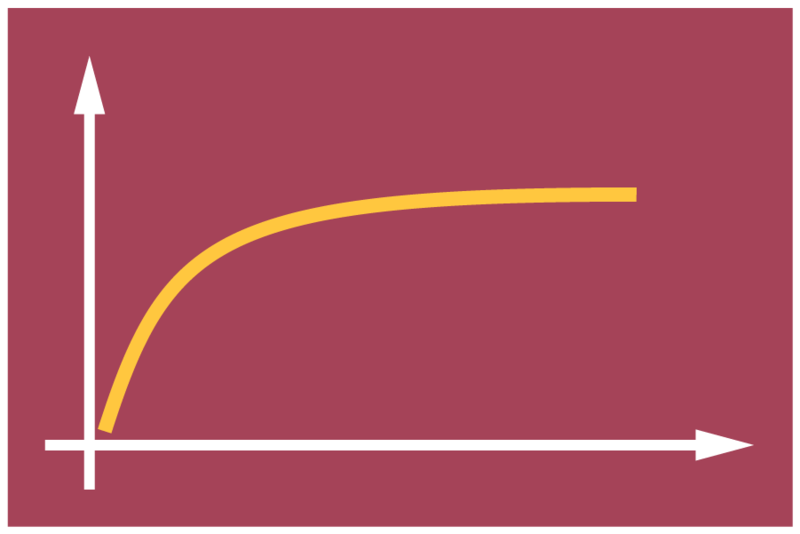 Validate with UPPER and LOWER bound computations and compute Load-Displacement curves using the Elasto-Plastic analysis feature. Setting up models and defining geometry in 3D has never been easier. OptumG3 comes with state-of-the art built in 3D modelling tools that lets the user built 3D models with almost same ease as in 2D. 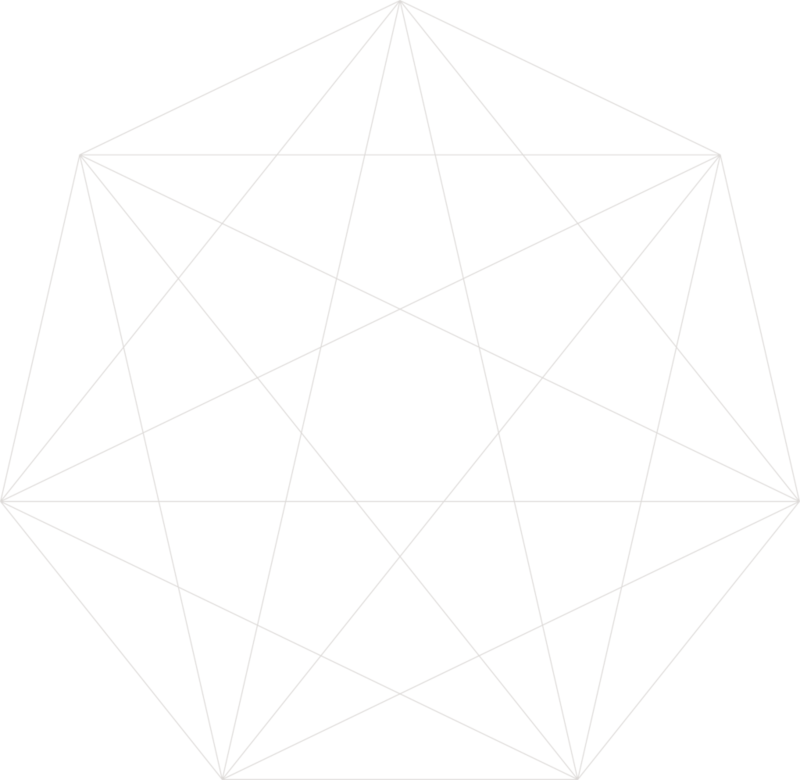 For more complex geometries you can import IGES and STEP files and continue working on the imported geometry. Add interfaces and shells with same ease as in G2. Always completely cost-free for academic users!